The magazine plans to reach out to a huge market in the northern and central belt of the country. Soon after introducing Aftermarket magazine in India, Infomedia 18 is all geared up to launch the Hindi version of Better Photography, its super-niche English magazine, by the year-end. The initial print run of Better Photography (Hindi) will be around 50,000 copies, whereas that of the English version is just over a lakh copies. The group is hopeful of generating an ad revenue of around Rs 2.5 crore in the first year. Talking to afaqs! 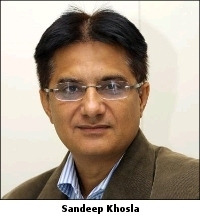 about the reason behind launching the Hindi version of the title, Sandeep Khosla, chief executive officer, Infomedia 18, says, “We are doing it to reach out to a huge market in the northern and central belt of the country. We have received a constant feedback from across North India, for a Hindi version of the magazine. We therefore thought it was apt to launch it in the Hindi language.”The content mix of the Hindi title will be, by and large, similar to that of the English version. Around 75 per cent of the content will be similar in both versions.The group is also expecting the profile of advertisers to be the same for the new version as well, as the profile of the reader of the Hindi edition is similar in all aspects, barring the fact that he/she is not as comfortable reading the magazine in English. 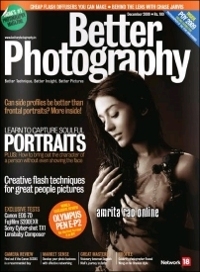 The group is yet to take a call on the cover price of the Hindi version, as according to Khosla, it will be decided as per the issue’s requirement.As far as promoting the new version of Better Photography is concerned, the group plans to promote the new version across the Network 18 medium including channels, websites, magazines, and also other Hindi newspapers, and PoP (point of purchase) in major cities of the Hindi belt such as Lucknow, Jammu, Chandigarh, Kanpur and Delhi, among others.For the record, Infomedia 18 publishes Entrepreneur, IC-Chip, AV Max, Better Photography, T3, Better Interiors, Noise Factory, Overdrive English, Overdrive Hindi, Smart Logistics, Modern Packaging & Design, Modern Pharmaceuticals, Search, Modern Food Processing, Modern Medicare, Auto Monitor, Chemical World, Forbes India, Modern Plastics & Polymers and Forbes Life India, apart from a directory titled Infomedia Yellow Pages. It is a public listed company. The controlling stake in the company is held by Television Eighteen India, a Network 18 Group company. What is a paleo meal? Hilary Clinton - Caught in LIE! Huaihua Xinpu Music Instrument Co. Ltd.
Junchuang Lock Industrial Co., Ltd.